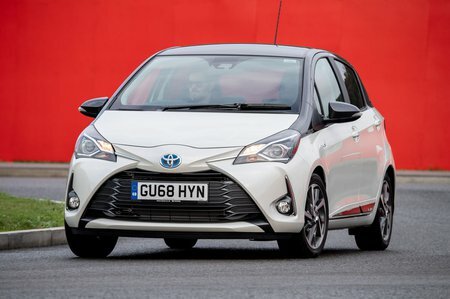 Toyota Yaris 1.5 Hybrid Excel 5dr CVT [Nav/15 inch] 2019 Review | What Car? What Car? will save you at least £1,333, but our approved dealers could save you even more. 16in alloys, a rear spoiler and chrome side sills. LED front and rear lights are fitted, with an automatic dusk-sensing function for the headlights as well as climate control and part leather and Alcantara seat upholstery.